If you’re in the market for carpeting for your home or business, The Rug Store has literally hundreds of options to choose from. From selection to installation, our staff will work with you every step of the way. With a few simple questions, we can help you determine the type of carpet that best suits your needs, taste and budget. The Rug Store offers a wide variety of wall-to-wall carpeting, remnants and carpet tiles. From leading manufacturers such as Mohawk, Shaw and Kraus, you’re sure to find the color and style for you. We can even custom design your carpet – just choose the pattern and colors and you’ll have a one-of-a-kind carpet made especially for you. When you purchase a carpet from the Rug Store, we will personally measure your space whether your purchasing wall-to-wall carpet or a remnant. We will arrange for the professional installation of your carpet and remove your old carpet, if applicable. Wall-to-wall carpeting comes in four main textures or styles: berber, cut pile, frieze and shag. Berber – This is a loop construction carpet and comes in many different textures. It is best for family rooms and basements. Cut Pile – During the weaving process, the loops of the carpet are cut at the same height and allowed to tuft slightly. 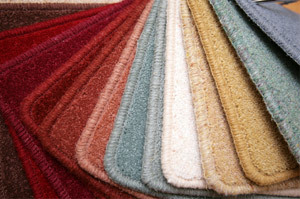 Cut pile carpets are sometimes called “plush” carpets due to their thickness and soft texture. Cut pile is recommended for areas that do not get a lot of traffic such as a bedroom. Frieze – This is a form of pile carpet. The yarn fibers are twisted very tightly, thus causing them to curl over slightly. Since they do not all curl in the same direction, the finished look is not as smooth or even as other types of carpeting. Frieze carpets are best for high traffic areas. Shag – The individual carpet yarns vary in length and are twisted in a loose design. This finished look is similar to that of a section of grass where the blades lay in different directions and are of different lengths. Shag rugs are best recommended for low-traffic areas. Carpet remnants are the perfect option for small areas or if you’re not looking to install the carpet from wall-to-wall. 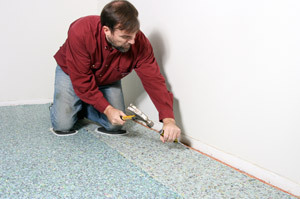 Carpet remnants are unused carpeting from installed wall to wall projects. At The Rug Store, our remnant carpets are always top quality, brand new carpets. Carpet tiles are high-quality sections of carpet measuring 18” x 18”. Carpet tiles are perfect for small areas or where there is a chance of staining – such as a commercial area or eating area. If a section of the carpet is stained, it is easy to replace just that one section. 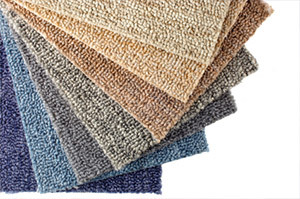 The Rug Store offers a wide variety of carpet tiles in various colors, patterns and piles. An area or Oriental rug is the perfect compliment for beautiful permanent flooring such as hardwood or tile. An area or Oriental rug can easily add warmth and comfort and at the same time show off the original hardwood or tile floor. The Rug Store offers both traditional and contemporary designs and styles of area and Oriental rugs. Available in a variety of sizes, an area or Oriental rug can be used as a hall or stair runner, a foyer or entrance rug, or it can be used to fill an entire room. 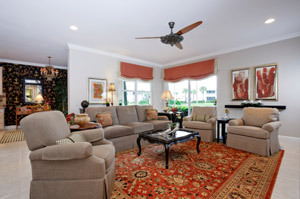 The Rug Store also offers professional cleaning of area and Oriental rugs. 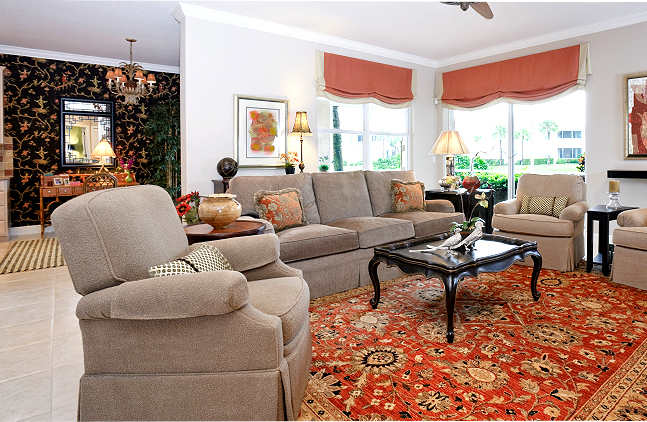 We will come to your location, inspect the rug and determine if it can be cleaned. We will take the rug with us and return it (and install it) when it is cleaned. If you have an area or Oriental rug that may be tattered, worn or stained, we offer professional restoration services. Upon inspection at your location, we will determine if the rug can be restored. If it can be restored, we will take it with us and return it (and install it) once the job has been completed. Unlike other area and Oriental rug sellers, we actually come to your location to take measurements of your area to ensure the right size rug is ordered. If an area or Oriental rug is too small, or too large for a room or hallway, it is either lost or overwhelming. We even install the rug, too! At The Rug Store, we offer more than rugs. 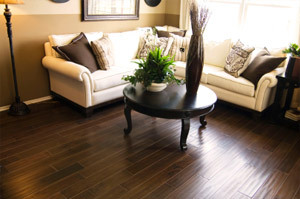 If you’re looking for vinyl tile or linoleum, laminate or hardwood flooring, we can help. 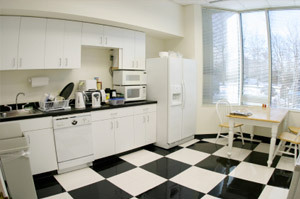 Vinyl tile is popular for kitchens, bathrooms and commercial spaces. Vinyl flooring is water and stain resistant, versatile and provides great durability for the cost. Linoleum flooring should last for years with proper care and cleaning. The Rug Store carries a wide selection of vinyl tile to suit your needs. 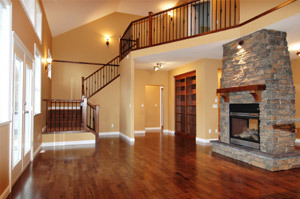 Hardwood flooring is generally low-maintenance and long-lasting. Hardwood floors are recommended for people with allergies since the allergens have nowhere to hide (as with carpeting). Hardwood floors are sustainable and come in a variety of colors and patterns. At the Rug Store, we offer a wide selection of quality hardwood floors. laminate Flooring is versatile, easy to maintained and reasonably process. Laminate wood flooring can simulate the look of many popular hardwood materials. Laminate floors are easy to clean and can be mopped with gentle cleaners. Laminate floors are perfect in kitchens were the look of wood is desired, but at a much lower cost. As with our carpets, the Rug Store will professionally measure your space and install your flooring material. Many thanks to Moses and The Rug Store for the beautiful carpeting installed in my home.